Obama has expressed support for a Senate housing plan that would eliminate Fannie Mae and Freddie Mac, replacing them with a new agency insuring mortgage-backed securities. Fresh off a speech in Phoenix in which he outlined his vision for the housing market, President Obama took to the web Wednesday to answer questions from Americans wondering what the government can do to help. Taking questions submitted online in an event live-streamed in cooperation with real estate site Zillow (Z), Obama reiterated in broad terms his support for scaling down government-backed housing finance firms Fannie Mae and Freddie Mac, a key theme of his speech in Phoenix on Tuesday. "We're actually confident that the private market can step in, do a good job, and the government can be a backstop so that we still have affordability and 30-year mortgages," he said. Obama said the Consumer Financial Protection Bureau will release new guidelines "as soon as the fall" in an attempt to simplify the mortgage-application process. While he touted home ownership as a key aspect of the "American Dream," Obama also expressed support for an expansion of affordable rental housing, praising moves by institutional investors to buy and rent out residential properties. These investors, he added, can help stabilize home values in neighborhoods that have been blighted by foreclosures. 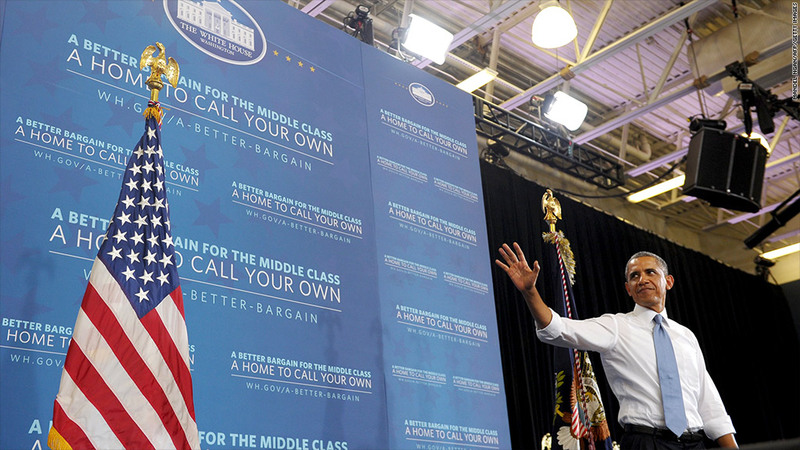 Obama touted immigration reform as another way to strengthen the housing market. "We know that if we get immigration reform done, suddenly you've got all kinds of families coming out the shadows, paying taxes, paying penalties," he said. "They're also going to be really likely to buy homes, often times in some of the neighborhoods where you had the most foreclosures." Throughout the discussion, Obama emphasized the importance of the housing market to the broader economy. "This is where most Americans have their wealth," he said. "If we get that right, it makes a big difference everywhere else"